"Azerbaijan is in a unique geographic position, as it is with many of the new trade routes. Railways from China run through Kazakhstan to Kazakhstan’s Caspian ports, and possibly to Turkmenistan’s Caspian port at Turkmenbashi city, where goods can be loaded onto ships to Azerbaijan and sent by rail through the Caucasus to Turkey. These goods could also be loaded onto ships at Georgia’s Black Sea ports and sent across to the Romanian or Bulgarian ports for transport further into Europe. Goods from Europe and Turkey can ship goods eastward along the same route," he said. Pannier believes that in all cases, these goods transit through Azerbaijan, meaning there will be fees paid to Azerbaijan for railway use and loading and unloading on the Azerbaijani Caspian coast. "The amount of revenue the route would bring to Azerbaijan will vary of course, depending on traffic, but there will always be something being shipped by this route so there will always a revenue flow into Azerbaijani state coffers," noted the expert. He went on to add that shipping goods using only railways (from China through Russia and on to Europe) would be quicker and probably cheaper, but China has stressed BRI includes maritime routes, which ensures Azerbaijani ports will never be left out. "Kazakhstan and Turkmenistan are depending on this and we can see that from those countries’ decision to improve their Caspian Sea ports, specifically with an eye toward trade between the West and China as part of BRI. And there is also the North-South railway connecting Iran and Russia through Azerbaijan. Some of that cargo might be unloaded in Azerbaijan and head west toward Turkey and the Black Sea," said Pannier. The New Silk Road, or Belt and Road Initiative, is an ambitious project to greatly enhance trade routes; road, rail, and sea, he said, adding that if successful, this estimated $1 trillion network would connect dozens of countries around the globe. "Many of the world’s less-wealthy countries are included and for countries such as these the BRI offers needed opportunities to export their goods, and Chinese financial institutions have been loaning large amounts of money to help these countries connect to the network. These loans have proven a mixed blessing. 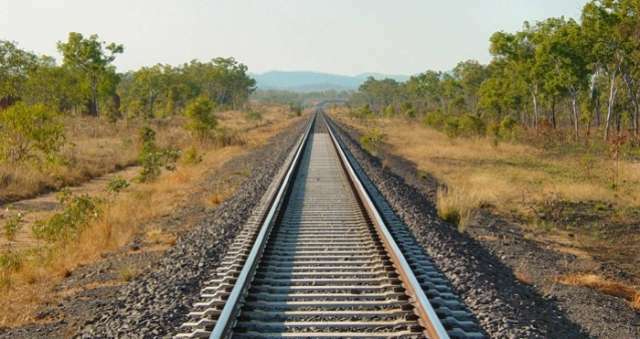 While it allows poorer nations to build roads, railways and ports they could not afford to build themselves, some of these countries are discovering they will be hard pressed to repay these loans," said the expert. However, he believes that any country involved stands to gain something from being connected to this trade network. "It will help bring some countries out of relative isolation. Other countries stand to benefit from transit fees. And most countries are upgrading existing facilities or construction entirely new facilities for BRI, which helps them modernize their ability to export and import generally, even outside of BRI. So BRI it good, so long as you don’t fall deeply in debt," the expert concluded.